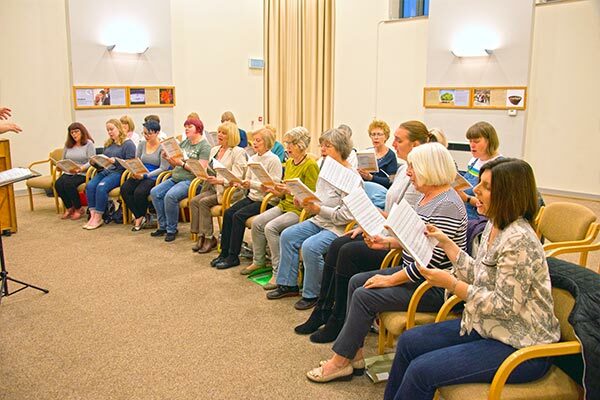 We rehearse every Monday at 7pm at the Quaker Meeting House, Oxford Place, off St James Street, Doncaster, DN1 3SL. Rehearsals last 2 hours with a short break. 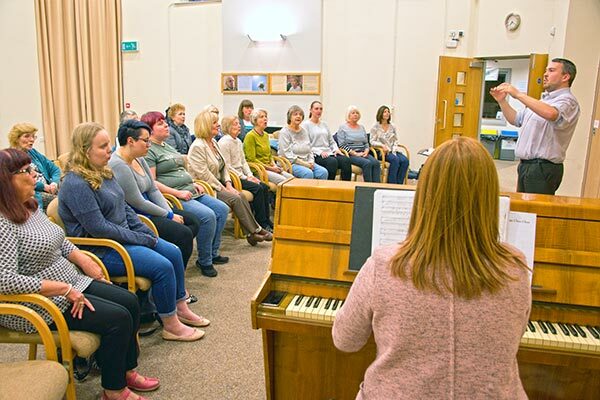 Choir members pay £3.50 a week subscription which goes towards the cost of running the rehearsals and pays for music, however new members are welcome to come to a couple of rehearsals free of charge to see what we do. We are a relaxed group and we always have a laugh as well as rehearsing the music. We start new pieces several months before they appear in a concert to allow members to learn the music without using copies. You don’t need to be able to read music in order to join, although a basic knowledge would be helpful. When you first join you will be asked which voice part you sing. If you are unsure our Musical Director can give you some advice and suggest which part you would be best joining. You are always able to move parts if you find you are struggling. 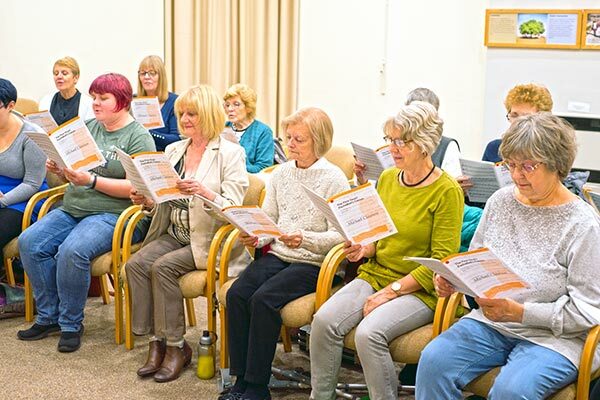 While we normally sing without using sheet music in concerts we do make exceptions for new members who are allowed to use a black folder of music until they have had chance to learn everything.